Ten years ago, Pluto was reclassified as dwarf planet — a result of discovering other solar system objects of comparable size. 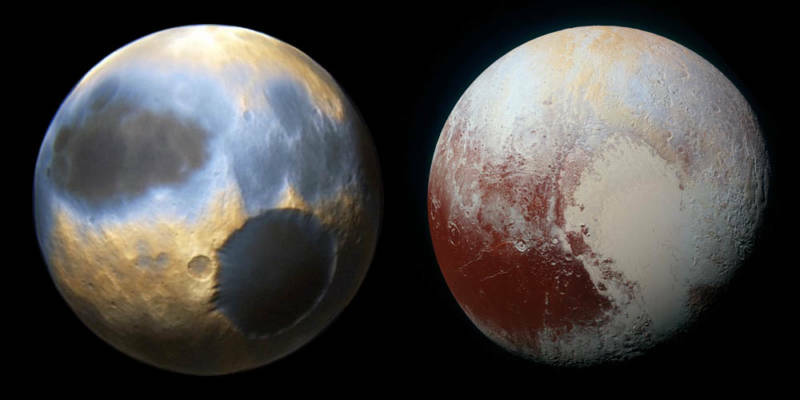 Less than a year ago, the New Horizons spacecraft gave us our first up-close look at Pluto and its system of moons. These historic events define a decade in which our understanding of the solar system blossomed as never before. Advancements in technology have enhanced our ability to detect, observe and analyze outer space. In addition, a wider field of players in solar system exploration has played no small role in the information explosion. Not only do multiple countries now conduct space missions — the U.S., Russia, Europe, Japan, China, India and others — private entities like Elon Musk's SpaceX corporation are also getting into the game, to the extent of pursuing human missions to Mars. Not very long ago, textbooks taught us that our sun is the center of a system of nine planets, a belt of little understood bodies of rock (asteroids) between Mars and Jupiter and a mostly invisible host of mysterious comets that periodically enter our awareness when one passes close to the sun. Eight major planets — the four "terrestrial" planets of the inner solar system and four gas giants of the outer solar system. Five official dwarf planets, including Ceres (the largest object in the Main Asteroid Belt) and Pluto. 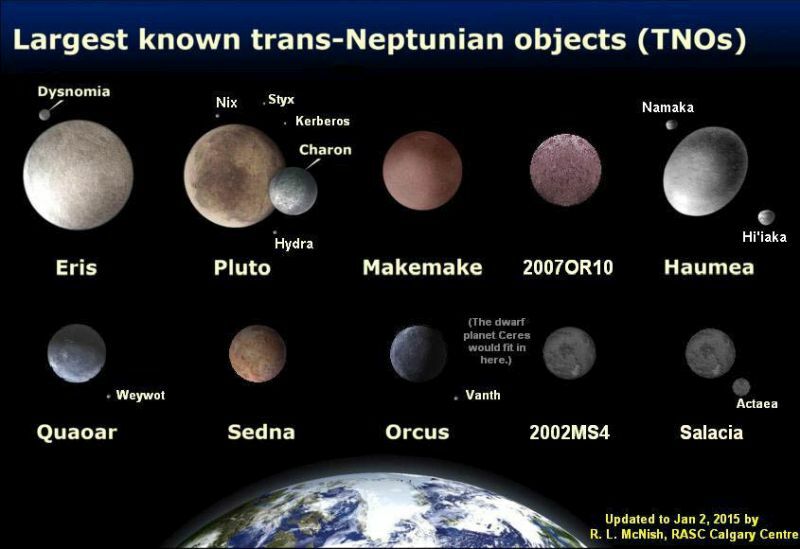 At least 150 "Trans-Neptunian Objects" (minor planets whose average distances from the sun are greater than Neptune's) that may eventually be classified as dwarf planets. At least 179 moons orbiting planets and dwarf planets. 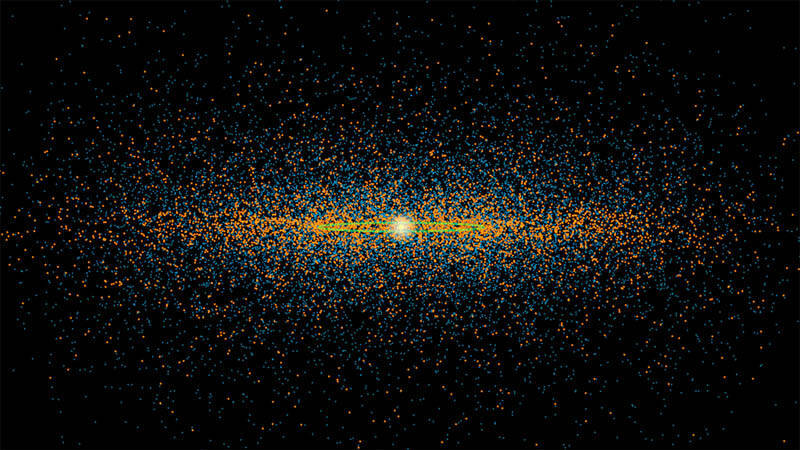 About half a million asteroids, most of them in the Main Asteroid Belt. That's what we know of. Estimates based on observation and theory suggest this is only the tip of the iceberg, and that there are probably tens of thousands of sizable bodies (larger than 60 miles across) and perhaps hundreds of billions of smaller comet-like objects out there — mostly orbiting beyond Neptune. Beyond the sheer body-count, the past decade has also turned up fine details of objects that have been real eye-openers. 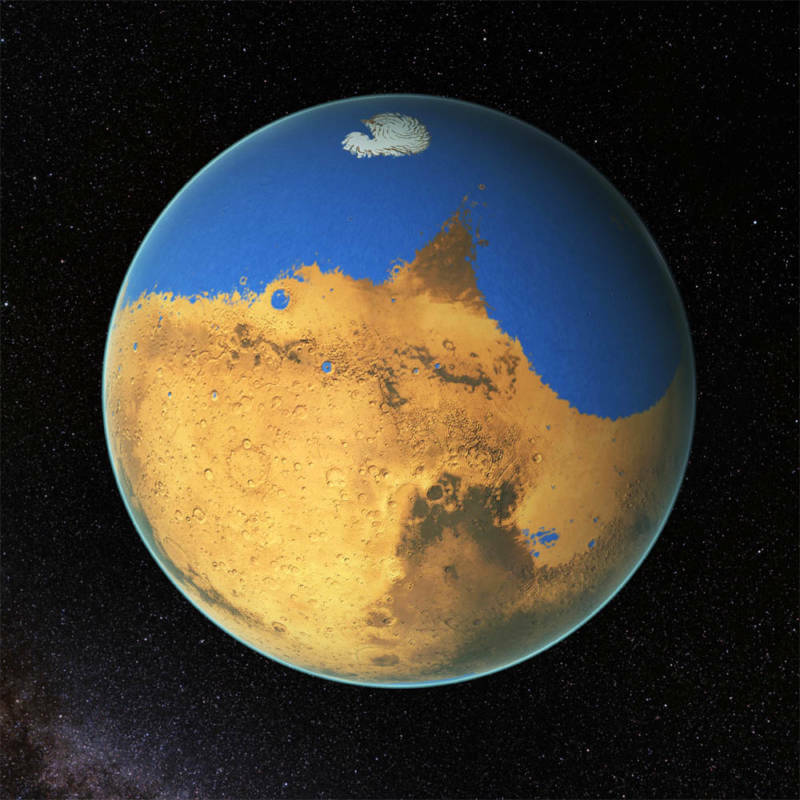 Mars, long ago, was partially covered in seas of liquid water, likely salty, with an environment that may have been friendly to life. Jupiter's moon Europa hides under its icy outer crust an ocean containing more liquid water than all of Earth's oceans, warmed by energy spewing from its interior generated by tidal forces of Jupiter's gravity. Saturn's moon Enceladus — which is barely 300 miles in diameter—erupts with jets of water vapor and harbors liquid water beneath its surface, and possibly the chemistry that could support life. Even cold, distant Pluto supports dynamic processes on its surface: glacier-like flows of nitrogen slush, cryovolcanoes and possibly tectonic activity. And we learned this just within the past year. A smaller dwarf planet than Pluto — Ceres — has shown signs of activity: water vapor outgassing from its surface, and bright mineral deposits possibly left behind by eruptions from beneath its crust. The most exciting part of our burgeoning awareness of the solar system's surprises may be those yet to come. If the advancement in technology and the enterprises that participated in space exploration over the past decade changed our thinking about the solar system in such profound ways, imagine what the next decade will bring. Further advancements in Earth and space-based observatories, robotic spacecraft and probes, and even human expeditions into space are already in the works. What might we know by 2026?